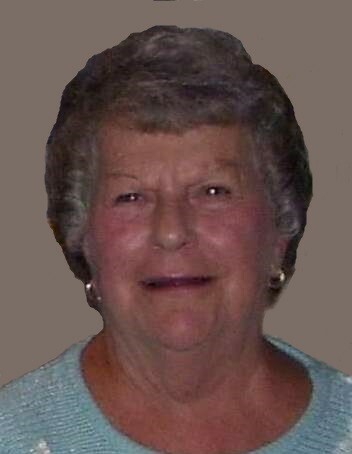 Patty Dunn Smalley, 86, of Ludlow passed away Saturday, March 30, 2019 at her son’s home in Brookville, Indiana. Patty worked for many years at R.A. Jones Co., Crescent Springs in the cafeteria. One day she happened to be assigned the coffee push cart that went around the factory offering beverages and some light snacks and from that day forward, until her retirement, she had found her true enjoyment at work. She attended the Ludlow Senior Center and as her health permitted, she loved bowling. She found enjoyment in being a homemaker and was generally always into a re-design or remodeling project. She was preceded in death by her parents, Martin and Lela David Dunn; son, Michael “Yogi” Smalley in 1994; and brothers, Kenneth Dunn and Roy Dunn. Survivors include son, Keith (Etta) Smalley of Brookville, Indiana; sister, Linda Dunn of Bromley; brothers, Larry (Anita) Dunn and Jimmy (Gladys) Dunn, all of Villa Hills; grandchildren, Tina (Jimmy) Donahue, Brandon (Ronda) Smalley, Timmy Hoffman, Amanda Smalley and Matthew Smalley; six great grandchildren; and a host of nieces and nephews. Visitation is Wednesday, April 3, 2019 from 5:00 p.m. to 8:00 p.m. at Middendorf-Bullock Funeral Home, Ludlow. Funeral services will be held on Thursday, April 4, 2019 at 11:00 a.m. at the funeral home. Interment at Floral Hills Memorial Gardens, Taylor Mill.